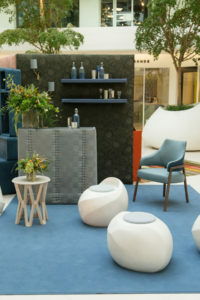 Design Centre, Chelsea Harbour partenered once again with the Campaign for Wool with a specially commissioned installation for Wool Week 2016.Showcasing an array of exceptional wool products, the Baatique Hotel featured woollen fabrics, rugs, carpets and upholstered furniture from some of the most prestigious names in the industry. 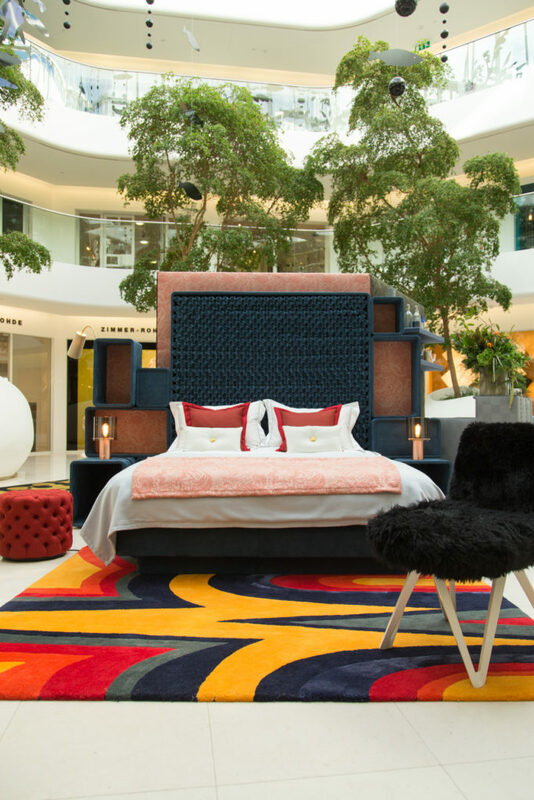 Part of a wider trend in international hospitality design to create more multi-functional spaces for work, rest and play, the creative pop-up was a stylish take on how hotels provide so much more than just a good night’s sleep. Visitors could delight in the beauty, quality and comfort of wool in the See Ewe in the lobby, Meet Me in the Baa bar and the Not Counting Sheep guest suite. Redefining luxury in hotel interiors, the installation was created by designer Karina Garrick whose imaginative style shows wool in a new context. Playing with scale, colour and pattern, mixing contemporary and handcrafted elements with luxurious fabrics, statement rugs, furniture and lighting, spaces of great originality were created. 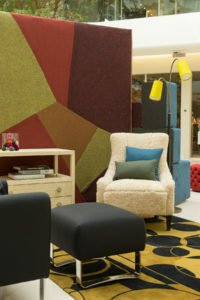 A Wool Week design trail had also been devised to show visitors where to find wool products in participating showrooms. There was a vast array to choose from – everything from the contemporary classic to the cutting-edge cool. The Campaign for Wool is a global endeavour initiated by its patron, HRH The Prince of Wales, to raise awareness amongst consumers about the unique benefits off ered by Wool and call attention to the ecological advantages it delivers. It was launched by the patron in January 2010 and has been celebrated in key international markets, such as the United Kingdom, New Zealand, Australia, South Africa, United States of America and Norway. 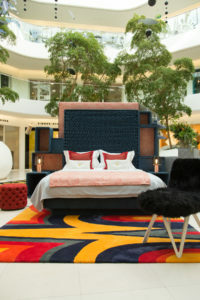 Design Centre, Chelsea Harbour is proud to be part of the international campaign.